Chairman Lewis, Ranking Member Ramstad, and Members of the Subcommittee, I thank you for the opportunity to provide written comments on the 2007 Filing Season. My comments focus on the processing of tax returns, customer service, telephone excise tax refunds, the Customer Account Data Engine, and the Electronic Fraud Detection System. Each of these areas is important to a successful 2007 Filing Season. As of March 3, 2007, the Internal Revenue Service (IRS) reported that it had received 54 million individual tax returns. Of the 54 million, 41.2 million (76.3 percent) were filed electronically. The number of electronically filed tax returns is 4.3 percent higher than at the same time last year. The IRS has issued 45.4 million refunds for a total of $117.1 billion. While the IRS has seen a growth in the number of electronically filed tax returns so far this filing season, the number of Free File returns is down slightly. As of March 3, 2007, the IRS received approximately 2.3 million tax returns through the Free File Program, compared to approximately 2.4 million returns at the same time last year. The Free File Program provides taxpayers with access to free online tax preparation and e-filing services made possible through a partnership agreement between the IRS and the tax software industry. The IRS Restructuring and Reform Act of 1998 (RRA 98) required the IRS to work with private industry to increase electronic filing. In response to this requirement, in 2003 the Department of the Treasury (Treasury), OMB and the IRS launched the Free File Program featuring private-sector partners that allow qualifying taxpayers to prepare and file their taxes online for free. The Treasury, OMB and IRS made this possible through a public-private partnership with a consortium of tax software companies, the Free File Alliance, LLC (Alliance). Eligible taxpayers may prepare and e-file their Federal income tax returns using commercial online software provided by Alliance members. The IRS and the Alliance debuted the Free File Program in January 2003. According to statistics provided by the Alliance, more than 2.79 million taxpayers used the program during its first year. In subsequent years, use of the Free File Program increased significantly to about 3.51 million taxpayers in 2004 and 5.12 million taxpayers in 2005. While the IRS continues to face longstanding challenges, it deserves recognition for making progress in an area that will always be a challenge: providing quality customer service to the American taxpayer. Quality customer service is the first component of Commissioner Everson’s principle for the IRS: Service + Enforcement = Compliance. Over the past few years, TIGTA audits have shown that the IRS has improved customer assistance in its face-to-face, toll-free telephone, tax return processing, and electronic services, including the IRS public Internet site (www.IRS.gov). IRS.gov continues to be one of the most visited Web sites in the world, especially during filing seasons. The IRS now provides practitioners with online tools to provide better service to their customers such as electronic account resolution, transcript delivery, and disclosure authorization. As of March 3, 2007, the IRS’ assistor level of service was 82.4 percent, which is a decrease of 1.7 percent compared to the same week last year. However, the cumulative filing season assistor level of service is currently 1.6 percent higher than the IRS’ planned assistor level of service of 81.1 percent. The IRS answered 7.5 million calls compared to 7.7 million at this time last year. The IRS also completed 11 million automated calls; a decrease of 4.7 percent from last year’s 11.5 million. It appears that automation demand is materializing slightly later than last year. Taxpayer Assistance Centers (TAC) are walk-in sites where taxpayers can receive answers to both account and tax law questions, as well as receive assistance in preparing their returns. TIGTA is currently in the process of making anonymous visits to TACs to determine if taxpayers are receiving quality service, including correct answers to their questions. As of March 3, 2007, there were 1.5 percent fewer walk-in contacts than for the same period last year. The VITA Program plays an increasingly important role in IRS’ efforts to improve taxpayer service and facilitate participation in the tax system. The VITA Program provides no-cost Federal tax return preparation and electronic filing to underserved taxpayer segments, including low-income, elderly, disabled, and limited-English-proficient taxpayers. These taxpayers are frequently involved in complex family situations that make it difficult to correctly understand and apply tax law. According to the IRS, as of March 3, 2007, volunteer tax return preparation is 8.6 percent above last year’s performance, and volunteer e-file is slightly down by approximately 0.7 percent compared to this time last year. However, as of January 31, 2007, outreach contacts had significantly increased by over 90 percent compared to the same time last year. This increase is due to special emphasis on telephone excise tax refunds and unplanned outreach activities occurring during the month of January. TIGTA is currently in the process of visiting VITA sites to determine if taxpayers are receiving quality service, including the accurate preparation of their individual income tax returns. TIGTA developed scenarios that are designed to present volunteers with a wide range of tax law topics and include the characteristics (e.g., income level, credits claimed, etc.) of tax returns typically prepared by the VITA Program volunteers. The telephone excise tax refund is the most wide-reaching refund in the history of the IRS. It is a one-time refund that the IRS estimated would affect between 151 million and 189 million people, including many without a filing requirement. The IRS developed a process to refund these monies on a timely basis and made the refund request process relatively easy for most taxpayers. At the same time, the IRS wanted to minimize refunds in excess of taxes collected and discourage overstated refund requests. To minimize the number of overstated refund requests and the administrative burden on individual taxpayers, the IRS decided to offer individuals a standard refund amount. Use of the standard amounts should significantly reduce taxpayer burden since no records are needed to support taxpayers’ requests. Individuals do not have to assemble 41 months of telephone bills to determine their refund amounts. Requesting the standard amount requires the completion of only one additional line on the tax return. However, taxpayers are not required to request the standard amount. If taxpayers do not choose to claim the standard amount, they must file Form 8913, Credit for Federal Telephone Excise Tax Paid, with their U.S. Individual Income Tax Return (Form 1040 series). Taxpayers must attach Forms 8913 to their Forms 1040 to support any claims for more than the standard amount. The IRS also developed a compliance strategy to address egregious claims. The strategy includes identifying tax returns with claims for telephone excise tax refunds exceeding certain dollar thresholds and freezing the telephone excise tax portion of the refunds associated with those returns until the claims could be audited. The standard amount developed by the IRS has proved to be very effective. Through the week ending March 3, 2007, IRS records indicate that 99.6 percent of telephone excise tax refund claims filed were for standard amounts. However, through this same time period, almost 30 percent of the individual tax returns filed contained no claim for a telephone excise tax refund, which indicates that many taxpayers may not be aware of their opportunity to claim this refund. TIGTA will be monitoring the steps the IRS takes to address this issue. Thresholds were set too high for the IRS to take action when taxpayers claimed refunds for more than the standard amounts but did not provide the required Form 8913 to substantiate their claims. Thresholds were also set too high for the IRS to take action when taxpayers’ entries on their tax returns (Form 1040 series) did not correspond with amounts on Form 8913, i.e., taxpayers claimed one amount on their tax return and a different amount on their Form 8913. When TIGTA reported these issues, the IRS took immediate steps to address the problems. The amount of telephone excise tax refunds on these claims totaled more than $21 million. Taxpayers making most of these claims (68 percent) would have had to pay long distance or bundled telephone service charges equal to more than 25 percent of their total annual income to justify their claims. Taxpayers making 11 percent of these claims would have had to pay more for long distance or bundled telephone services in a year than their annual income to justify their claims. A taxpayer was claimed as a dependent on another taxpayer’s return and filed a claim for an amount that could only be supported if the taxpayer’s long distance charges were nearly seven times more than his/her total income. 45 percent of his/her income. This taxpayer also claimed two nieces as dependents, and claimed Earned Income Credit, Child Tax Credit, and Additional Child Tax Credit. As of February 24, 2007, the paid preparer who filed this taxpayer’s return had filed over 900 other returns with telephone excise tax refund claims exceeding the standard amounts (72 percent of the claims filed by this preparer). The percentage of claims filed by this preparer for more than the standard amount has steadily increased through most of the filing season, but most claims fell under the IRS threshold amount. During the week ending March 3, 2007, the IRS processed another 143 claims filed by this preparer for more than the standard amount. Not one of these claims exceeded the IRS’ threshold. This preparer appears to have learned what will be accepted as filed by the IRS. The IRS’ Criminal Investigation function has no active investigation of this preparer. Many taxpayers filing large claims appear to be entering the total amount billed for long distance and bundled service rather than the Federal excise tax associated with those amounts. This may be due to taxpayers misunderstanding the instructions on Form 8913. Taxpayers making legitimate mistakes may very well be willing to self-correct their returns if the IRS informed them that they appeared to have claimed their entire phone bill or long distance bill rather than only the Federal excise tax associated with their bill. Addressing many of these cases may not require examination resources. Because the telephone excise tax refund claims are not subject to the regular assessment process, most of these claims should be worked before refunds are issued. Discretionary examination programs can be worked after refunds are issued if necessary. If worked prior to the refunds being issued, these cases represent dollars that can be immediately recognized by the government as improper refunds not issued. In contrast, other examination cases represent assessments that may or may not be collected. A recent TIGTA report found that in FY 2004, the IRS assessed more than $2.1 billion in additional taxes on high-income taxpayers through its examination program. The report estimated that approximately $1.2 billion (57 percent) of that amount was either abated or not collected after an average of 608 days from the date of assessment. The telephone excise tax refund issue has become a very high profile issue. For example, such inappropriate claims are now the number one item in the IRS’ “Dirty Dozen” list of tax scams. In a news release issued early in the filing season, Commissioner Everson stated, "People requesting an inflated amount will likely see their refund frozen, may have their entire tax return audited and even face criminal prosecution where warranted. We won't stand idly by while some people try to cheat their neighbors and make off with money they don't deserve." If the IRS allows fraud to go unchecked in an area that it has declared as a major priority, it may have a very negative effect on taxpayer compliance in the future. Taking into consideration the factors listed above, TIGTA recommended that the IRS re-examine all options at its disposal to address significantly more inappropriate telephone excise tax refund claims, including offering taxpayers the opportunity to self-correct their returns, postponing some examination work, and having non-examination employees work (or partially work) some of the simpler cases. The IRS responded to TIGTA’s concerns, stating that it does not plan to make adjustments to the threshold amounts. 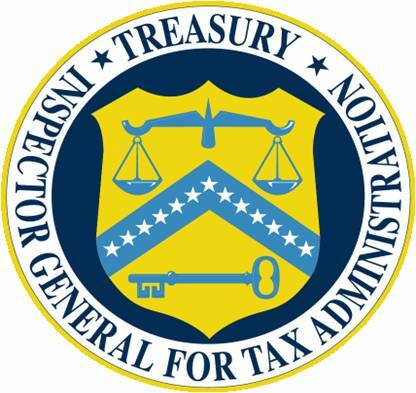 The IRS’ written response did not address TIGTA’s recommendation to allow taxpayers to self-correct their returns; however, in discussions IRS officials stated that they had no plans to issue notices to taxpayers and allow them to self-correct their errors because IRS officials believe that such notices would be ineffective, the IRS has limited resources to work the responses, and there would be many “no response” cases, which they would be required to work. The Customer Account Data Engine (CADE) project will provide the foundation for managing taxpayer accounts to achieve the IRS’ modernization vision. The CADE consists of databases and related applications that will replace the IRS’ existing Master File processing systems, which are the IRS’ official repository of taxpayer information. FY 2006 for the CADE. Additionally, the IRS requested $85 million in FY 2007 for the CADE, but this amount has been reduced to about $58 million. Through FY 2007, CADE project release costs total about $233.9 million. The IRS initiated the CADE project in September 1999 and began delivering releases in August 2004. During Calendar Year (CY) 2006, the CADE processed over 7.3 million tax returns and generated more than $3.4 billon in refunds. This is a significant increase over the 1.4 million tax returns processed in CY 2005 that generated refunds totaling more than $427 million. The CADE is now in the process of completing delivery of Release 2.2. Release 2.2 will process 2007 Filing Season tax law revisions (Tax Year 2006) and additional tax forms. (seven weeks late). On the first day, it processed over 571,000 tax returns of which 566,332 contained refunds. Because of the late start into production, the IRS goal of using the CADE to process 33 million tax returns will not be met. According to IRS officials, the latest estimate is that the IRS will complete the deployment of Release 2.2 in April 2007, and it will process between 15 million to 20 million returns. The Electronic Fraud Detection System (EFDS) is the primary information system used to support the Criminal Investigation Division’s Questionable Refund Program, which is a nationwide program established in January 1997 to detect and stop fraudulent and fictitious claims for refunds on income tax returns. During Processing Year (PY) 2006, the EFDS was not operational because the IRS and its contractors were unable to launch a Web-based version of the EFDS application (Web EFDS), resulting in an estimated $318.3 million in fraudulent refunds being issued as of May 19, 2006. On April 19, 2006, all system development activities for the Web EFDS were stopped, and all efforts were focused on restoring the client-server EFDS for use on January 16, 2007. The restoration effort required the contractors to prepare the EFDS and the related databases for PY 2007 by starting with the PY 2005 EFDS and updating it with the 2006 and 2007 tax law changes. In October 2006, TIGTA initiated an audit to determine whether the IRS was adequately monitoring the contractor’s development efforts in 2006 to ensure that a system was delivered in time for the 2007 Filing Season. TIGTA found that the IRS improved controls over the EFDS restoration activities including executive governance and project management. As a result, project risks were being identified and mitigation actions were being taken to ensure that the EFDS was implemented and fraudulent refunds stopped during PY 2007. On January 16, 2007, the IRS and its contractors put the EFDS into production. The IRS reported the telephone excise tax refund, split refund, and extender legislation requirements were implemented as scheduled on January 29, 2007. The IRS also reported that the EFDS continues to operate without critical problems. While the 2007 Filing Season appears to be progressing without major problems, I am concerned that changes in the Free File Agreement as well as the elimination of Telefile Program in 2005 may contribute to a significant slowing of the growth in electronic filing this year. This slowed growth comes at a time when the IRS is still far from reaching Congress’ goal of 80 percent electronic filing by 2007. Slower growth in electronic filing will defer the efficiency gains for the IRS that result from electronic filing. Additionally, I am concerned about the IRS’ telephone excise tax refund program. While the IRS took corrective actions to address concerns about processing thresholds, the IRS declined to re-examine all options at its disposal to address significantly more inappropriate telephone excise tax refund claims, including offering taxpayers the opportunity to self-correct their returns, the postponement of some examination work, and the working (or partial working) of some of the simpler cases by non-examination employees. I hope my discussion of some of the 2007 Filing Season issues will assist you with your oversight of the IRS’ filing season operations. Mr. Chairman and Members of the Subcommittee, thank you for the opportunity to share my views. Assistor level of service is the primary measure of providing service to taxpayers. It is the relative success rate of taxpayers who call for services on the IRS’ toll-free telephone lines.